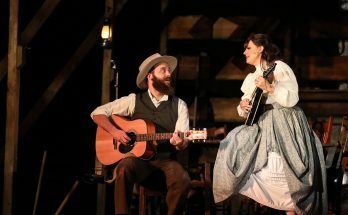 SIX-OPERA SEASON FEATURES ‘WEST SIDE STORY,’ ‘DEAD MAN WALKING,’ ‘EUGENE ONEGIN,’ ‘LA TRAVIATA’ AND MORE DISCOVERIES SERIES PERFORMANCES. The Atlanta Opera’s 2018/19 season opens in November with West Side Story and closes in May 2019 with La Traviata. It includes Jake Heggie’s Dead Man Walking, a new production of Tchaikovsky’s Eugene Onegin and, in the Discoveries series, jazz and tango operas for eight performances each (up from five). The opera season, the sixth under general and artistic director Tomer Zvulun, continues its mission of programming for opera lovers and new audiences alike. Mainstage season subscriptions are on sale now. Pre-sale tickets for the oft-sold-out Discoveries series, entering its fifth season, are available now to subscribers. Single tickets go on sale June 9. The four mainstage operas will be performed at the Cobb Energy Performing Arts Centre; the Discoveries operas at the red-velvet cabaret La Maison Rouge, on Ponce de Leon Avenue in Atlanta’s Midtown/Poncey-Highland neighborhood. For new subscriptions and renewals, go HERE or call 404.881.8885. WEST SIDE STORY | Nov. 3, 6, 9 + 11. This landmark 1957 musical is receiving a lot of attention in this, the centennial of composer Leonard Bernstein’s birth. 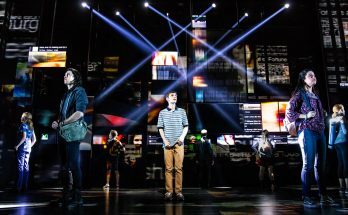 The Bernstein score, with lyrics by Stephen Sondheim, includes “Something’s Coming,” “Maria,” “Tonight,” “I Feel Pretty,” among many others. The Broadway original won two Tony awards but not best musical, which went to The Music Man. It has been revived four times, including a 2011 version that incorporated Spanish. The 1961 feature film won 10 Academy Awards, including best picture. Francesca Zambello, general and artistic director of New York’s Glimmerglass Festival, created this telling and will direct. It was a co-production with Houston Grand Opera and Chicago Lyric Opera. The choreography, by Julio Monge, uses the original work of Jerome Robbins. Soprano Vanessa Becerra sings Maria. DEAD MAN WALKING | Feb. 2, 5, 8 + 10, 2019. Composer Jake Heggie’s 2000 piece (with a libretto by playwright Terrence McNally) is the most frequently performed American opera of the 21st century. Dead Man Walking, based on Sister Helen Prejean‘s 1994 book, details her relationship with death-row inmate Joseph De Rocher. Mezzo-soprano Jamie Barton, a Georgia native, sings Sister Helen. Baritone Michael Mayes sings De Rocher, a role he’s played to acclaim in London, Madrid and at Washington National Opera. Heggie, 56, describes himself as a theater composer concerned with serving the drama and exploring character. Zvulun, whose 2016 New Orleans staging of Dead Man earned critical praise, will direct this co-production with The Israeli Opera. EUGENE ONEGIN | March 2, 5, 8 + 10, 2019. Tchaikovsky’s story of love and loss concerns a selfish hero who lives to regret his blasé rejection of a young woman’s love and his careless incitement of a fatal duel with his best friend. This new production was created by Atlanta Opera’s Zvulun and his frequent collaborators, designers Erhard Rom and Robert Wierzel. Zvulun directs. Baritone David Adam Moore, seen in Atlanta in Winter Journey (Discoveries series), sings the title role. Soprano Raquel González sings Tatyana; tenor William Burden sings Lenski. Eugene Onegin was last seen in Atlanta in 2004. LA TRAVIATA | April 27 + 30; May 3 + 5, 2019. Verdi’s grand opera, one of the most popular in the repertoire, tells the story of Violetta, who trades her coquettish ways for love but must then sacrifice that love for family. Czech soprano Zuzana Markova makes her U.S. debut as Violetta. Guatemalan tenor Mario Chang sings Alfredo and Argentine baritone Fabián Veloz sings Germont. La Traviata was last seen in Atlanta in 2012. CHARLIE PARKER’S YARDBIRD | Sept. 27-Oct. 7. Regional premiere. 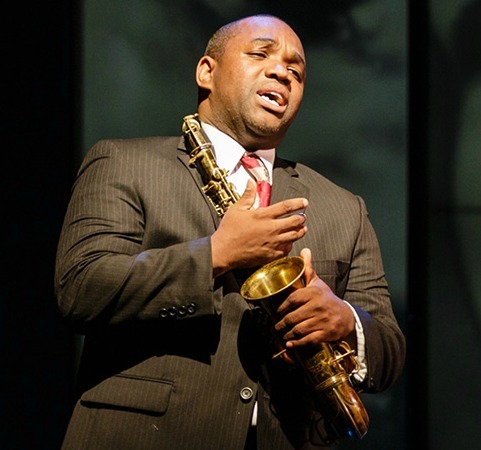 This jazz opera, composed by saxophonist Daniel Schnyder, examines the tortured and exhilarating life of jazz virtuoso, bebop pioneer and saxman Charlie Parker as he lay dying. This production, sung in English, is directed by Israeli stage director Omer Ben Seadia. MARIA DE BUENOS AIRES | March 28-April 7, 2019. Astor Piazzolla’s tango opera, set in the Buenos Aires underworld, is back by popular demand. 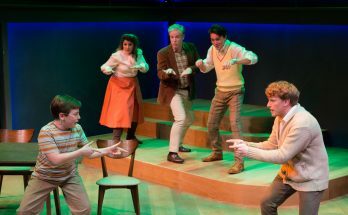 It sold out five performances in its Atlanta premiere in February 2017. It tells the story of Maria, a prostitute, before and after her death. Zvulun again directs. Sung in Spanish.